누구나, 언제어디서나블록체인에 연결되는 세상을MIB가 만들어 갑니다. 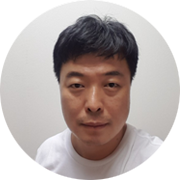 CEO of the development of block chains and virtual currency exchanges of in the MIB Major network servicer experts in the field of online and mobile gaming for 20 years. 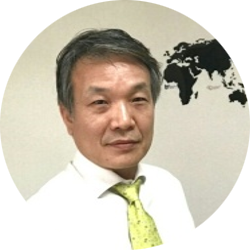 Mobile game consultant in Excite Portal in Japan. FPS Game Dispath of Army Reaches 10 Million Users in Asia. Infograms Worms World party, operation flash point battle net. Seunggoo majored Information & Communication and worked as Server Developer in Netmarble. 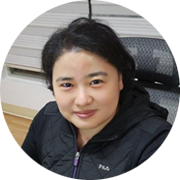 Seunggoo has experience in Server Developer in various Online and Mobile games, and has developed DataBase Design, Tuning, Communication Module, Mass Trafic Processing and other various Network Server Developments. 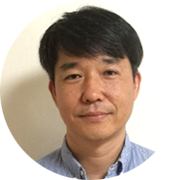 He is now in charge of the Blockchain Team and leading Core Module Designing and Implementation for the Team. MIB(Mobile Integrated Blockchain)는 모바일 통합 블록체인을 의미합니다. 가장 대중화 되어 있으며 휴대용 PC 라고도 불리는 다양한 기능성을 지닌 모바일폰, 기기반의블록체인네트워크입니다. 누구나 가지고 있는 스마트폰으로 MIB APP을 다운로드 받아 마이닝(Mining·채굴)하고, 보내고 받으며, 모바일환경에서 이뤄지는 다양한 결제 및 거래에 활용이 가능한 모바일 스마트X 블록체인 플랫폼(Mobile SmartXBlockchainPlatform,MSXBP) 입니다. 이제 누구나 MIB의 블록체인을 통해 암호화폐를 마이닝하고 실생활에 사용하게 되는 진정한 디지털시장에 합류하게 될 것입니다. 가장 대중화 되어 있으며 휴대용PC 라고도 불리는 다양한 기능성을 지닌 모바일폰, 기기 기반의 블록체인 네트워크입니다. 누구나 가지고 있는 스마트폰으로 MIB APP을 다운로드 받아 마이닝(Mining·채굴)하고, 보내고 받으며, 모바일 환경에서 이뤄지는 다양한 결제 및 거래에 활용이 가능합니다. MIB는 모바일에서만 작동하는 블록체인 네트워크생태계로 기존 암호화폐의 마이닝 과정이 모바일에서 작동하는 모바일 전용암호화폐입니다. 모바일 기반 친환경 저전력 마이닝방식으로 과도한 전력소비문제를 해결하고, 일부 국가나 업체가 독점하는 마이닝이 아닌 누구나 참여하고 다양한 비즈니스와 연결될 수 있는 높은 확장성을제 공합니다.